Home › Personal Injury › Auto Accidents › What personal injury damages are you entitled to receive? Personal injury claims allow you to recover for your past and future medical expenses, lost wages, pain and suffering, and when applicable punitive damages. 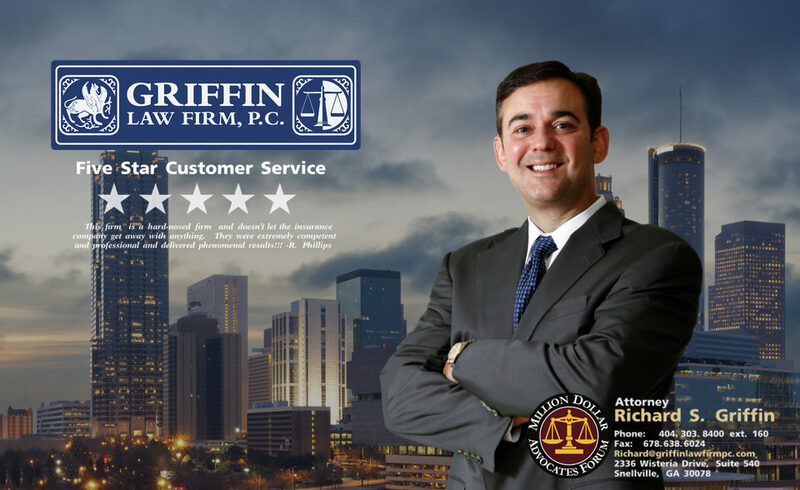 The Griffin Law Firm has a great history of helping injury victims recover for all of their personal injury damages. What medical expenses can you recover for? You can recover for the medical treatment that was related to your auto accident, dog bite, slip and fall, or other personal injury accident. Many people’s biggest hurtle is trying to get the medical treatment they need without the ability to pay for it. Since insurance adjusters under liability policies, uninsured motorist policies, and under-insured motorist policies usually will not pay for the treatment as you receive it, hiring the personal injury lawyers at the Griffin Law Firm can make all of the difference. We will help you find the right doctors for your injuries. By getting all of the medical treatment that you need, you will physical recover will be better. This will also result in better documentation of your injuries which increases the settlement value of your personal injury claim as well. What lost wages can you recover from? Usually your lost wage claim is limited to the actual wages that you did not receive because of your injuries. If you are unable to work, then you must get a doctor’s excuse or disability certificate from your doctor for the dates you are disabled from working. You also need to get documentation from your employer when possible that establishes that you did not in fact work and the amount of the wages or earnings that you were not paid. Our Atlanta personal injury lawyers can help you get the documentation you need and can even help you recover for the future lost income which is rarely covered unless you have an attorney fighting for you. For catastrophic injuries or permanent injuries that end your ability to perform you job indefinitely, we often hire vocational rehabilitation experts and economists to establish the income you are likely to lose over the course of your life. What pain and suffering can you receive? Pain and suffering is the damage that a jury can award you for the pain, inconvenience, and loss of enjoyment of life your personal injuries cause you. This is a damage that is often ignored or minimized by adjusters when they negotiate with unrepresented personal injury claimants. The Atlanta personal injury lawyers at the Griffin Law Firm are masters at helping you prove the specific examples that support your pain and suffering claim. When our auto accident lawyers are involved, litigation is not usually required, but when it is, we often use before and after witnesses to convince the jury that you should receive a sizeable pain and suffering recovery. When are you able to recover punitive damages? Punitive damages are damages to punish and deter the defendant from bad conduct. The bad conduct is normally drunk driving (DUI), hit and run, or some other conduct that shows a reckless disregard for human life. Punitive damages can greatly increase the value of your case when you hire our attorneys to fight for you against the insurance company and their adjusters and defense attorneys. Free Consultation: The personal injury claimant bears the burden of proving the amount of damages they sustained. Since you only get one chance to get fully compensated for your injury claim, we strongly recommend that you call us at 877-524-7070 or 877-PAIN-LAW for a free consultation and case evaluation.